ROME (Sputnik) - The recent deployment of a group of US bombers, officially classified by Washington as carriers of nuclear weapons, to Europe is provocative in its nature, Vladimir Yermakov, the director of the Department for Non-Proliferation and Arms Control at the Russian Foreign Ministry, told Sputnik on Thursday. 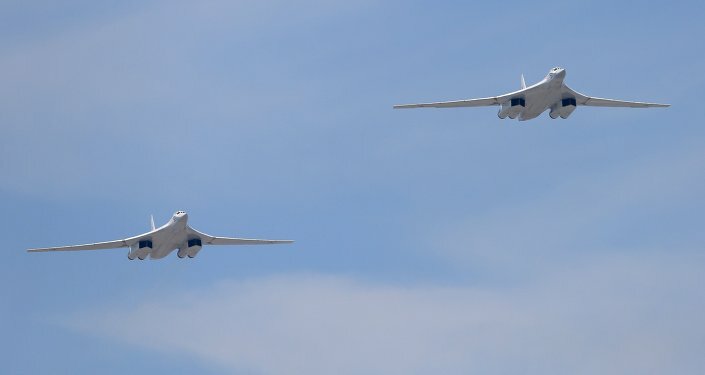 "Under the pretext of 'training activities,' US strategic aviation transferred in March a group of bombers, which were officially classified by the United States as carriers of nuclear weapons, to Europe. They carried out a number of maneuvers. At the same time, they simulated attacks against our country using nuclear weapons… The provocative nature of such actions is obvious, but this should not be surprising," the Russian diplomat said. It was not the first military exercises involving US strategic bombers that were organized in Europe, Yermakov recalled. "It turns out that US allies, mostly non-nuclear states, actually contribute to US military activities to intimidate Russia by threatening to use nuclear weapons," he pointed out. On Tuesday, Yermakov held talks in the Vatican City with the Holy See Secretary for Relations with States, Archbishop Paul Gallagher. The talks were attended by representatives of the Vatican diplomacy, heads of several institutions of the Roman Curia, and high-ranking prelates working in Catholic peacemaking organizations. Yermakov called these consultations "unique." In March, the US Air Force announced it had deployed six nuclear-capable B-52 bombers to Europe for "theater integration and flying training" exercises.